Friday, March 29 at 8:00 p.m. and 10:00 p.m.
Saturday, March 30 at 8:00 p.m. and 10:00 p.m. 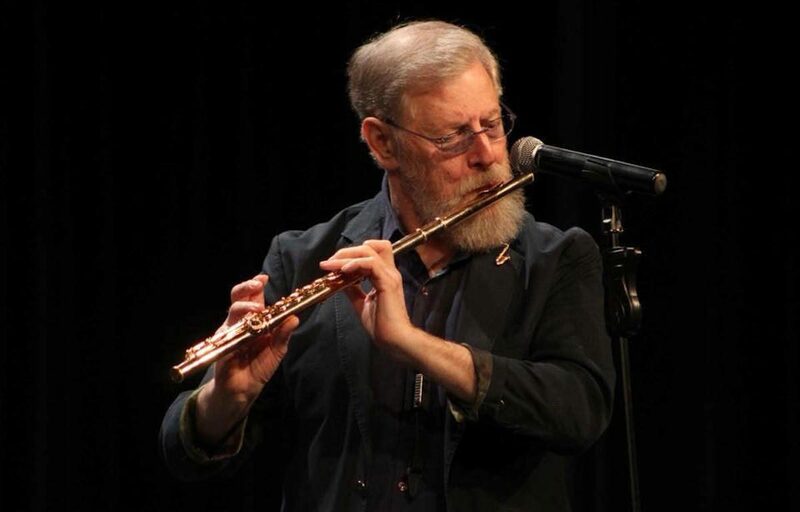 Celebrate the birthday of flautist and tenor saxophonist Lew Tabackin, who turned 79 on March 26, with two shows at JAZZ at Kitano. Tabackin is an artist of astonishing vision. His electrifying flute playing is at once virtuosic, primordial, cross-cultural, and passionate. His distinctive tenor sax style includes the use of wide intervals, abrupt changes of mood and tempo, and purposeful fervor, all in the service of showing the full range of possibilities of his instrument: melodically, rhythmically, and dynamically. Without copying or emulating jazz greats of the past, Tabackin has absorbed elements into his style, ultimately creating his own sound and aura. His wife, 14-time Grammy-nominated jazz pianist and composer Toshiko Akiyoshi, and her daughter Monday Michiru, a genre-defying singer and musician, will be Tabackin’s special guests. For more information, please visit JAZZ at Kitano’s website. To make reservations, please call 212-885-7119.